Train at a time that is convenient for you – this way you can trainin your own gym. This can save you a lot of time as you workout on your schedule versus the availability of a trainer. Gain more access to one of our coaches than you would face to face – and you don’t even have to be in the same town, state, or even country. Our coaches create the program for you, schedule it for you, track your progress and keep in touch with you during the week. By continually checking on your progress throughout the week and throughout your program, you will reach your goals faster. Plus, our program sends you reminders about your upcoming workout. Online Training is extremely affordable – We understand that not everyone can afford to meet a trainer face to face. You get a lot of bang for the buck with online training. This saves you money while giving you the best possible guidance, service, and support. Communication is one of the easiest things to do with online training – Have a question for your trainer? You can send them a message through the app! Your trainer also constantly checks your progress to see how you are doing with your program. If the trainer makes adjustments, you will receive an email saying there were changes made to your program. Descriptions of each exercise are included within your program – unsure of how to do a particular exercise? Click on the exercise and a video description shows up on how to correctly perform the exercise. This is a quick and easy way to learn how to do the exercise without searching for help from the staff at your local gym. If you are still unsure of how the exercise works, send your trainer a message directly within the program. While the motivation needed to be successful with a fitness routine comes from within, your trainer is just a few clicks away to offer support and guidance when needed, whether it is sending you an encouraging text or uploading a new exercise into your routine to further your progress. 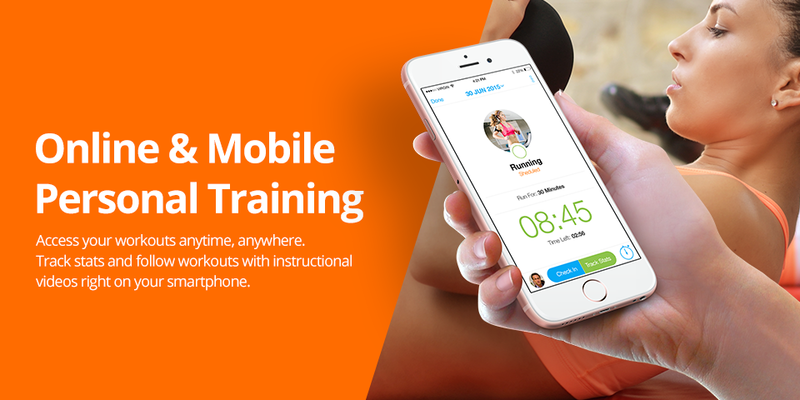 Online training is a great way to take advantage of all the benefits of personal training at a fraction of the cost using your phone. You can literally have a one of our coaches in your pocket while you workout! If you are interested in learning more about our online training program, please check out our website: https://www.pfitcentral.com/online-training/, or just fill out the box below and one of our coaches will get back to you.